Well, the artist name could have been smarter. But here we have Michael Black Electro or Mr Janne Hyttinen from Finland, on the crossroads of electro and hip hop, the latter dominating on this record. Author’s fellow countrymen hit with four remixes of MBE’s album tracks, full of rhymes and beats. A-side opens with Desto’s take of “Agape”, a tense hip hop with a sensible angle and like wanting to get closer to R’n’B. Then two versions of “Mustang” – artist called Clouds kicks off with piano and then slow but dull working-class rap starts rolling. 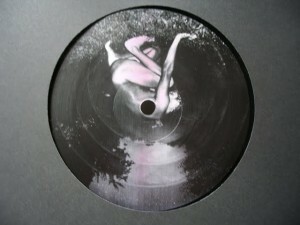 Teeth’s version on B1 is more steely having well-known dubstep and electro lines, and a darker and repetitive vocal part. RPK’ s remix of “Helicoid Trajectory” concludes the game with thundering bass, vocoded lyrics and flashing synths. All ingredients are there for creating a rocking record, but the interpretations are quite alike. Good average that asks for turning up the volume for full enjoyment. The original version of “Agape” follows here.